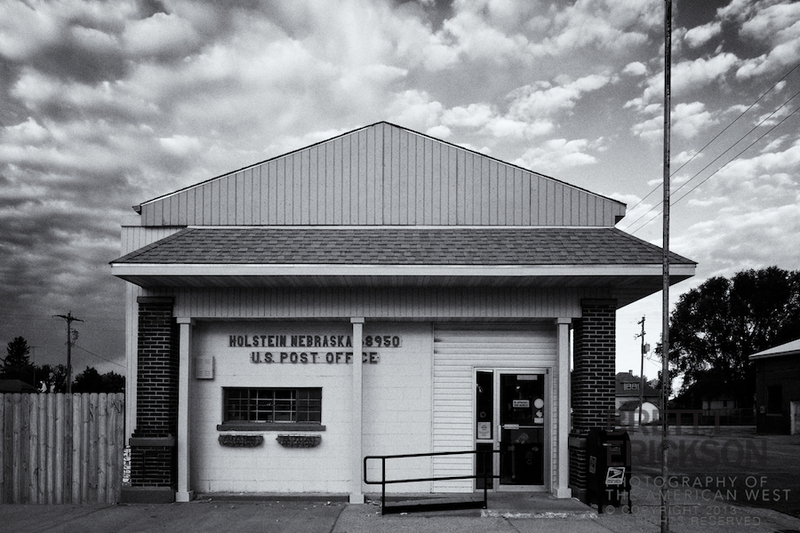 The Holstein, Nebraska post office is unlike many I’ve ever seen. Flowers racks under the windows. Painted Nebraska crimson and cream. Vaguely Romanesque in its pillories and faux pediment. And like the Roman Empire in 300 C.E., embraced by a slow and inevitable decline toward memory.